The Cappuccino system is ideal for creating your perfect milk beverage with a smooth and silk milk foam such as Cappuccino, CaffeLatte and Latte Macchiato. You can with ease prepare two cups of coffee with one single grinding cycle and a single brewing process thanks to the Twin-Shot system. 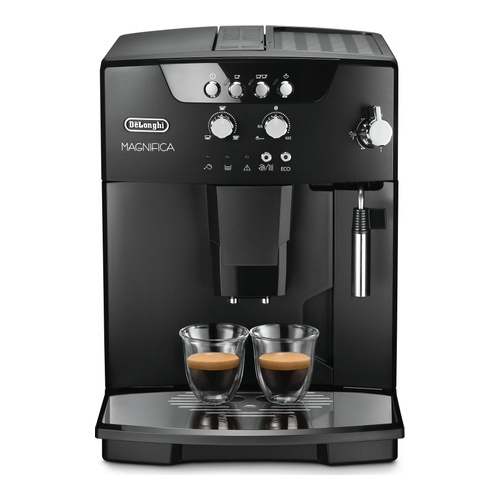 The cappuccino system gives you the possibility to use either coffee beans or pre-ground coffee, and the silent integrated coffee grinder has 13 adjustable settings, so you can personalize your coffee and enjoy it just the way you like it. The aroma saving cover ensures that your coffee beans stay fresh and preserves the taste. You can adjust the coffee dispenser to fit the height of your preferred cup, and the cup holder makes it easy to place it just right. The 1.8 L water tank is equipped with an empty water indicator and frontal access and both the water tank and the brewing unit are removable for easy cleaning and maintenance of the machine. The Cappuccino system is ideal for creating your perfect milk beverage with a smooth and silk milk foam. 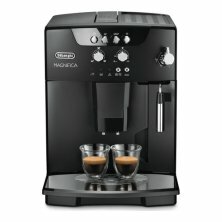 It easily prepares two cups of coffee at the same time, and the machine works with both coffee beans and pre-ground coffee. Place your favourite cup in the cupholder, adjust the height of the coffee dispenser and choose between the 13 adjustable settings to get coffee, just the way you like it.